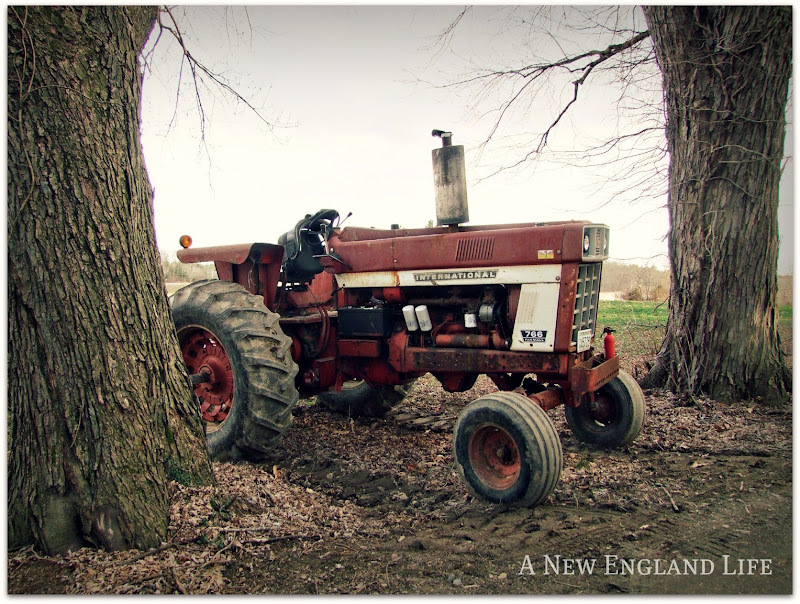 A New England Life: Call me fickle . . . Call me fickle . . .
Because that's what I am! 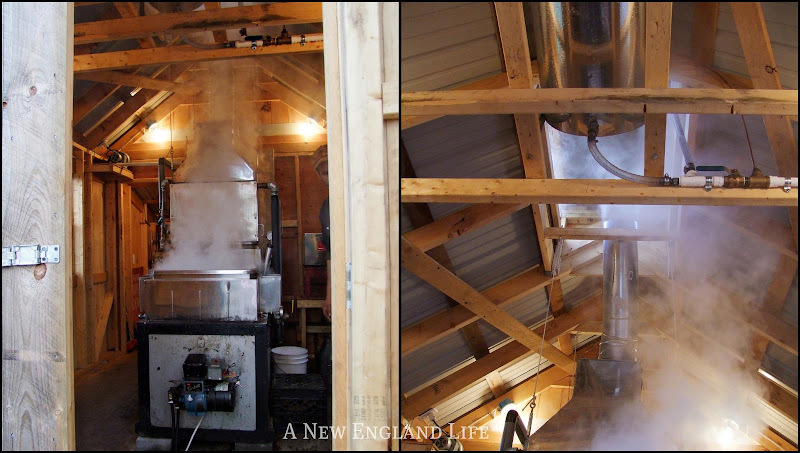 But honest to goodness I just couldn't resist showing you this tiny, local maple sugar shack! Not to mention my husband about had a fit when I said I was done blogging. He just couldn't believe I would ever do that. I said, 'believe it.' Even Jay got after me! Which by the way, you should stop by and see his moon images from last night. Make sure to click on the last one to enlarge it! Amazing!!! Since things are calm around here ... for the moment ... I figured I'd whip a few images out of my own. I hope they make you feel a little bit closer to New England this Spring. Unfortunately I cannot bring you the smell of maple syrup boiling, but trust me, it's amazing. This little sugar shack is owned, and was built by Pete T. Nicest guy. A true New Englander too. He's been boiling for 15 years. Back then he says hardly anyone around was boiling. Now there's quite a few. When I was there last night he said he'd produced a total of about 29 gallons over the last week and a half. Needless to say there wasn't a lot left on the shelves. He said it had been real busy. The syrup I bought had just been bottled and was still hot. Holy Cow! I came home and poured it over Vanilla ice cream, after my husband and I ate Seafood chowder from Peteys. I'm tellin' ya, that's some good eats! 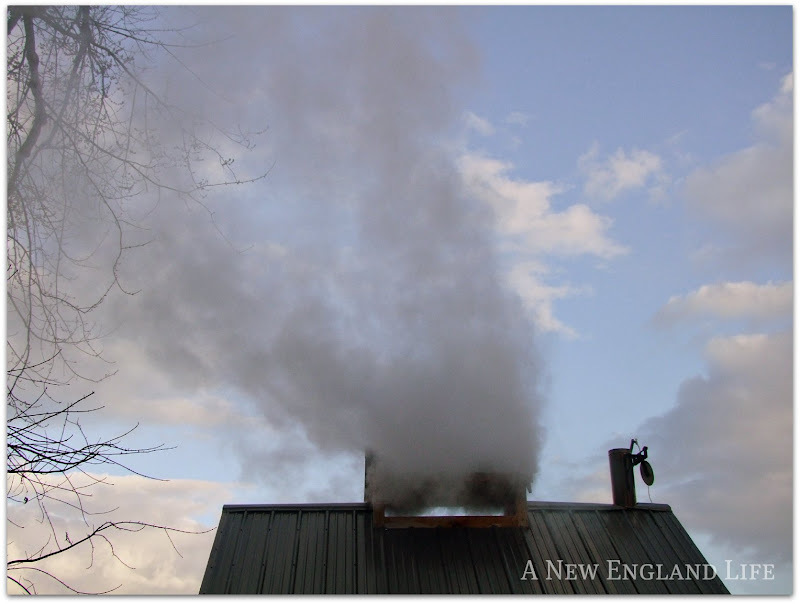 There was so much steam inside it was dripping off the rafters. Pete works at the Stuart Farm at the end of this long, tree lined driveway. My hope is to one day spend some time photographing around the farm. First I have to find an 'in'. How I enjoy my real maple syrup every, single morning. Have you ever had Maypo? It's the bomb! I'll try to keep blogging but if I don't ... well, you know. 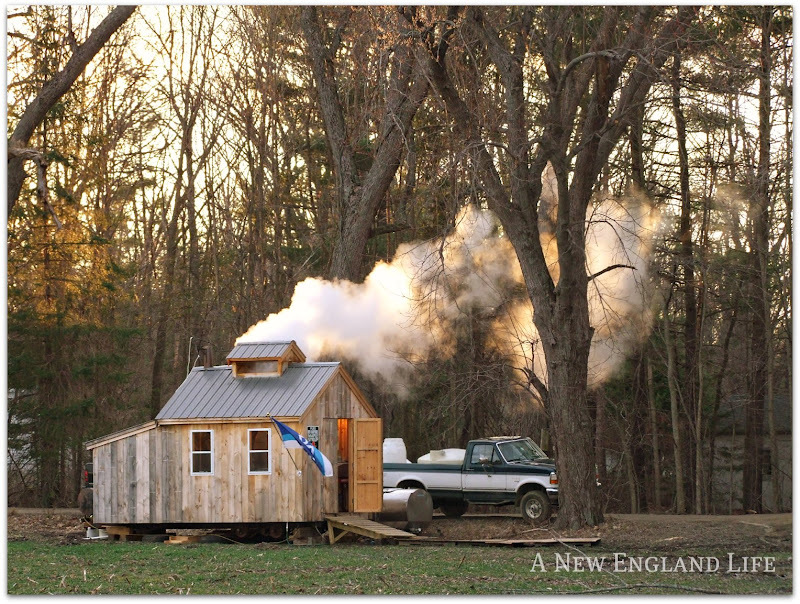 :))) What a GREAT sugar shack:) Love the "Rolling Boil" sign too! Love a fickle blogger!!! And that International tractor is da bomb...it's as sweet as maple syrup. 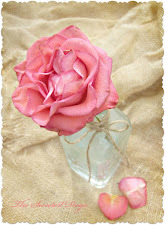 The Fickle Blogger - great title for a blog! That's too funny! Love your photos and the maple syrup porridge. Friends of ours in Mass. would give us a free bottle of that delicious maple syrup every year we lived there!YUM! Glad to see your blog when it pops up in my links. God bless - whether you blog or not! I can almost smell it from here! How fun to have things like sugar shacks in your neck of the woods! Don't ya feel better! Now that's New England,great capture Sharon! Next time listen to your husband.....and me! Oh I love the blog. Glad your still her. The road is amazing. We still have snow. A few feet to go :) Happy Spring. Sharon, glad to hear from you! Wonderful post. You made my mouth water! I've never eaten oatmeal with Maple Syrup. Will have to give it a try. I'm a big fan of oatmeal with brown sugar! But I'll try it your way! Cracy me...thought it was on fire!! So very glad you're back!!!!!!!!!!! 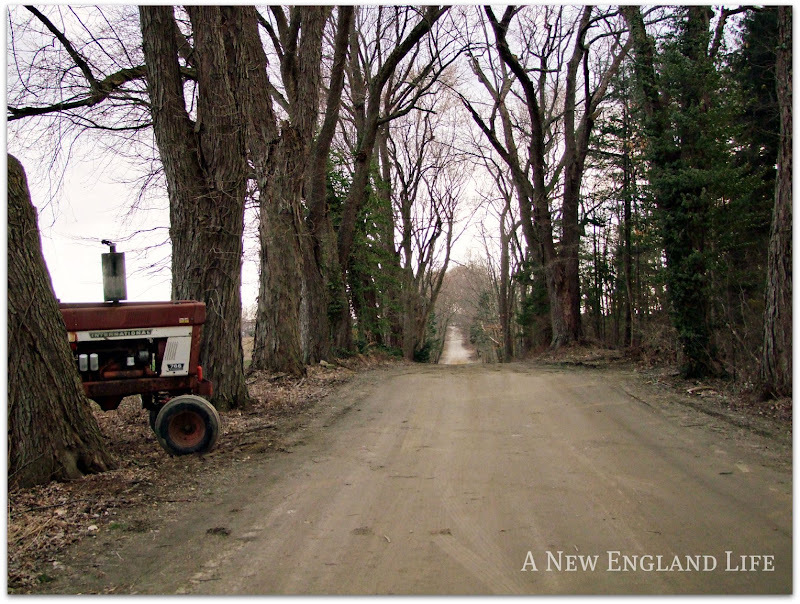 I love your blog and all the beautiful bits of New England you share with us. It's the only way I'll ever get to see it and you capture the essence of it perfectly ~ just like I'd imagined. Again and again ~ so glad you're back even if its in only every now and then. Great to have you back Sharon! Oh, I can almost smell it! What a wonderful series, Sharon! I loved this glimpse into the shack, and that image if the dirt road is an absolute favorite. I'm so glad you are back, even if infrequently. These images are like a gift, so thank you from the bottom of my heart! So pleased to see that you had posted. Please do more - even if they are guest appearances - I need my New England fix, especially now as I know I want make it back there for a couple of years. Wow..and I thought you were gone for a whole.. Go figure.. One cool sight and here you are back again! I only use real maple syrup and no fake syrup for me. so glad that we didn't have too long of a chance to miss you! 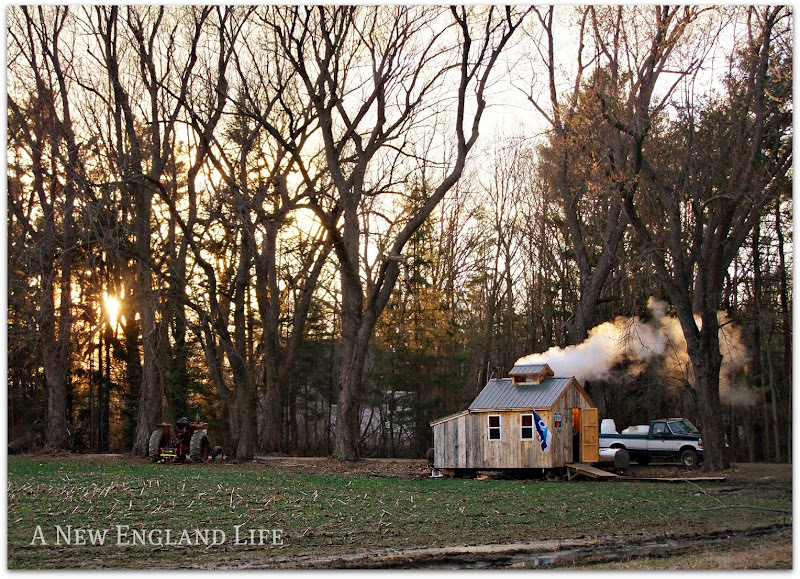 I love your photos of the Sugar Shack and hope that you get an "in" to photograph the farm. We come to New England every autumn . . . this makes us want to visit in the winter someday. :) Brrrrr!!! Glad to see your post. Sounds like you had a great day. As always, loved your pictures. You just go ahead and post whenever you want. It's a love/hate thing some days. I struggle, too. Rock on! You are a woman and an artist too. You are allowed! (takes one to know one-I am the same way) I think your approach is a great one, take it easy and post when you want and don't feel obligated too. That way it is a joyful thing. God wants us to be joyful! Take care. I want my art to be joyful. I was so excited to see a post from you! Love the pics! Thanks for sharing... I've never seen a sugar shack. They are cool! LOVE the tractor photo between the two trees! I'm also going to have to try maple syrup in my oatmeal, of course I can't get the fresh stuff like you! Glad you're back even if it's every now and then! Yum! I can taste it now - nothing like the real deal. Enjoyed seeing these pictures. Just post when "you" want to, and that way you won't feel pressured to get a post ready by a deadline. You can't stop now!! My only son just moved to Nashua Saturday and I have been learning my way around New England via your blog since the day (in January) he told me his job was taking him there. I returned home last night to see your "farewell" post and almost cried. I have never had 'real' maple syrup. Where in NH is this sugar shack located? I am in Mass. I love maple syrup and would like to try the real thing. Thanks for the post. I just love your banner. Yesterday I saw several robins. Post when you can and/or feel like it. You know we'll be here. Love the pictures as always. I can almost smell the maple syrup. 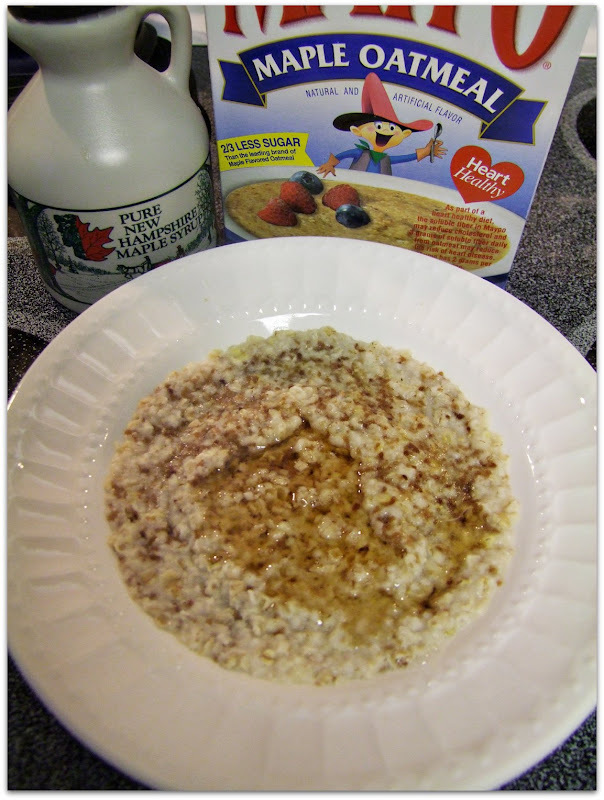 love "real" maple syrup - and yum - oatmeal! Yummy! I can almost smell and taste it. Great photos Sharon! Great post Sharon! Love the photos. I think we all go thru the "I'm done blogging" bit once in a while. I had a real tough time this winter. 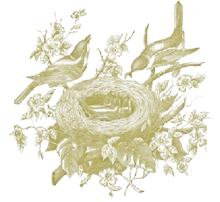 I know I am crazy - but I try to keep up with my 2 blogs. 1 started out as a 365 project last year. I accomplished that - and just didn't want to stop - so I am doing it again - but not pressuring myself. I have missed a few days here and there - but am pretty consistent. My other blog (which was actually my first) suffers the most. I guess I have been posting about 1x a week - but you know what - thats just fine! Winter was long and cold and ugly this year - or maybe it was the fact I shot everything last year and it looked the same this year - and I was tired of sameness. Sharon, Glad to know you are not giving up blogging completely. I may not always comment, but I am a faithful reader and photo admirer. You are such an incredible photographer and I would dearly miss not seeing your work. Oh, and because of you my husband has found great eateries like the Clam Shack! Happy Spring to you! YUM! I can still smell it. I grew up outside of Boston and now live in NC. Your blog gives me a great connection to "home". Your photos are stunning! Thanks also for the maple syrup reminder. Not long ago I mentioned tapping to a friend and she had NO IDEA syrup came from a tree. Where did she think it came from???? It isn't Aunt Jemima. 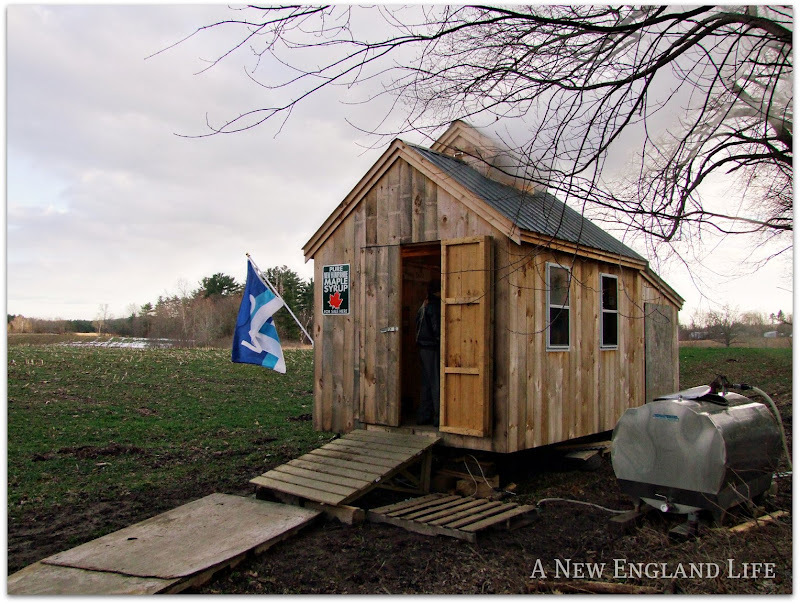 So glad you posted these wonderful photos of the sugar shack. I want some maple syrup right NOW. Oh I'm so glad you're back! I missed you! I love your pictures and I know where most of them are...or at least the general area. I know what you mean though about staying inspired. i think it's the crappy weather. Only a few more weeks before we can get outside and start walking around again. Today was the pits! there is a cool maple syrup place in Sandown but i can't remember the name of it. And, did you ever go to the breakfast place that is only open during maple syrup season on Hersey lane in Newmarket? oh yea i forgot to say I love maypo! I have since I was a little kid. That's what living in New England is all about! Love that photo with the tractor framed by the trees. How nice to have fresh maple syrup and not the stuff that's been sitting on the shelves since God know when. I'm happy you're fickle if it means you are still blogging. My hubby would have the opposite reaction. Well better get home to my non blogger husband. You and I are in the same boat! I quit, retired my camera, and was back two days later. My total vigor is not back. Maybe some maple syrup would help! Thinking of the "sugar shack" song. I love New England life. See you when we can. When your blog post said goodbye, I was sad because I love your photos. I am so glad you are back. I'm so glad you decided to share with us again!!!! Please remember that you are under no pressure from us...we just enjoy it when you share WHENEVER you decide to!!!! Sharon - I shoud scold you for making so many of us unhappy with your absence. But I'm so glad you're here now, that I won't. Just blog when you feel like it. Don't put pressure on yourself. That's what I'm doing. btw - I'm out of work...again...at the bottom of the barrel this time! Wouldn't Pete be your in?! I am glad everyone got on your case about quitting, because I would have missed your posts terribly. Oh-my-God MAYPO! I'd forgotten about Maypo! Oh how I love it!! Now I know what I want for breakfast once I'm back in the states. Fantastic photos. It makes me soo desirious to go up to the house in Vermont. Ahh! *grin* I had a feeling you wouldn't be gone for long. Sometimes, we just need a break and to take the yoke off for a while. While I haven't quit, I've slowed down and only post a couple of times a week now. Too much on my plate, at the moment, to do more than that. It will change again. Like life, it ebbs & flows. Glad to have you back.